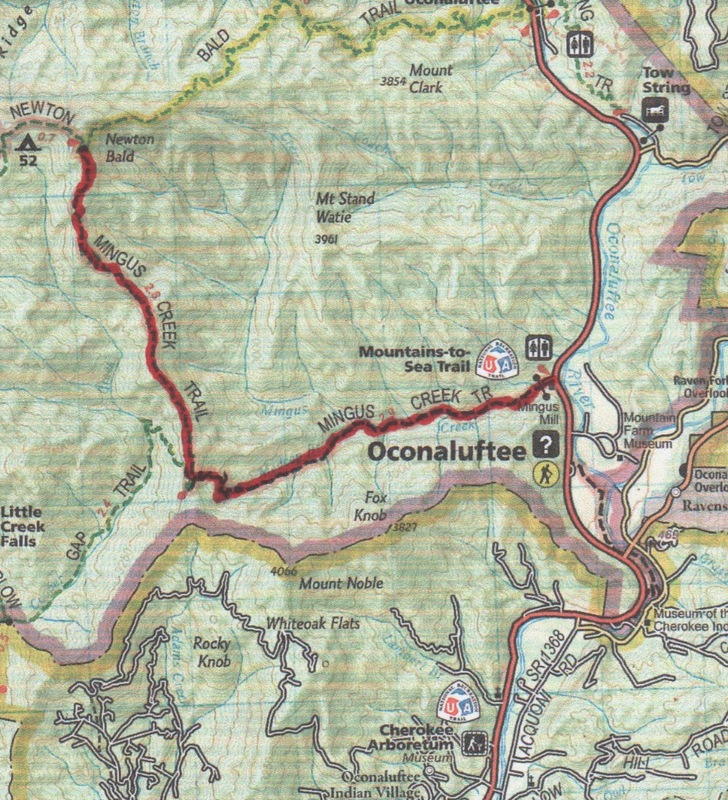 The trailhead for Cooper Creek Trail is on Cooper Creek Road, 3 miles from US Hwy. 19 between Cherokee and Bryson City, NC. The trail is a connector from Cooper Creek Road to Deeplow Gap Trail. There is no public parking. The guidebooks suggest getting permission to park on private property. 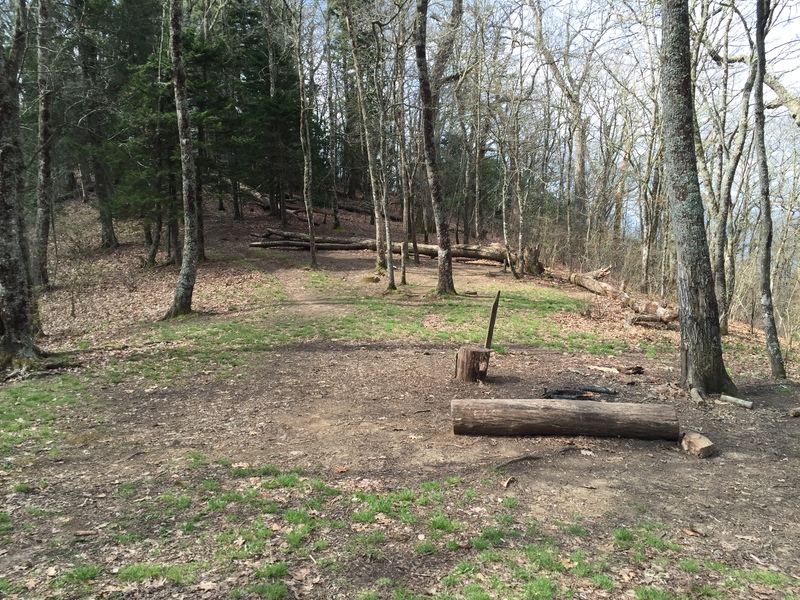 For the 900 Miler, you are best to hike this small section when you cover Deeplow Gap Trail. Access is not straightforward and it’s a long way to go for a half mile of hiking. Plus, it only take about 10 minutes total. Cooper Creek Trail is one of a handful of trails in the park that leads one to wonder why it is an official trail at all. 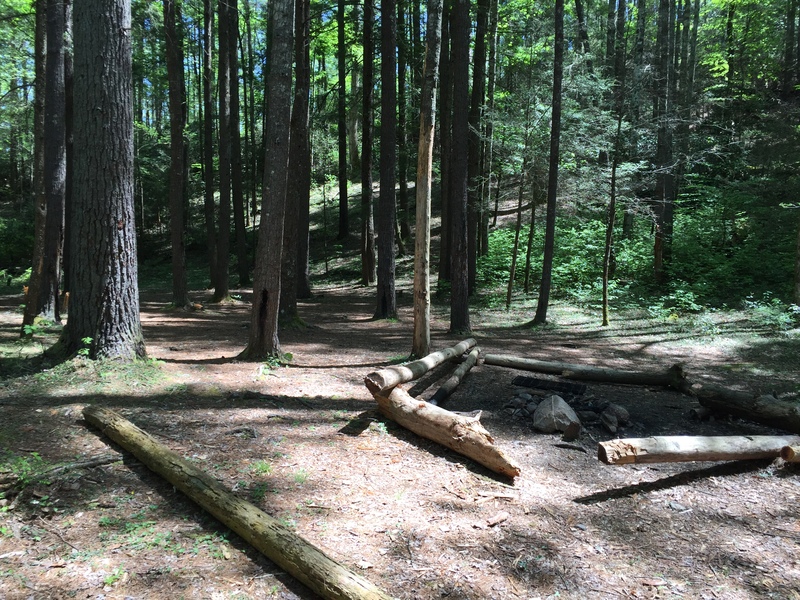 It’s purpose is to provide access much like the way many trailheads lead from campgrounds or picnic areas. 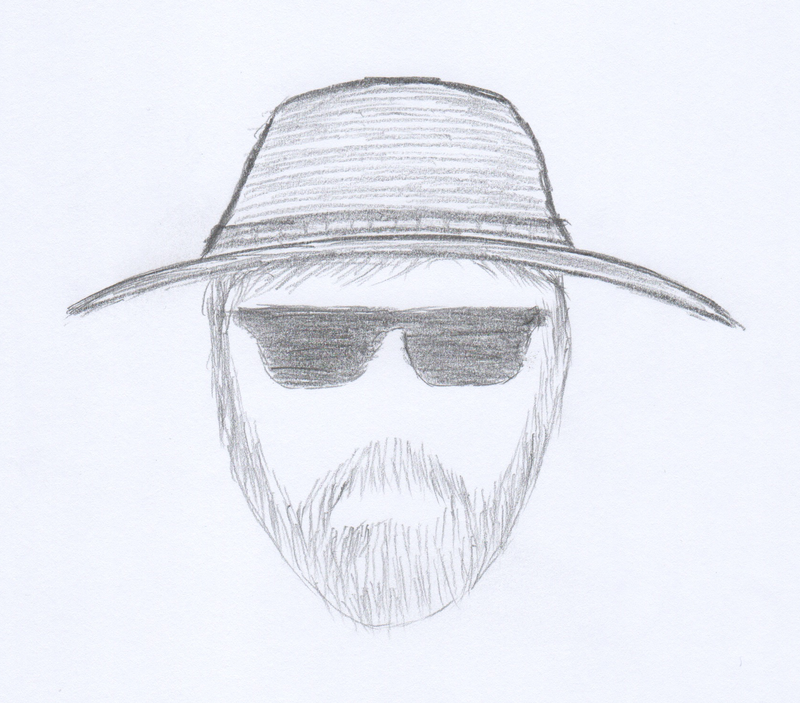 But because it’s an easy hike and convenient if captured along with Deploy Gap, the level of annoyance is minimal. The trail is a gravel road bed. 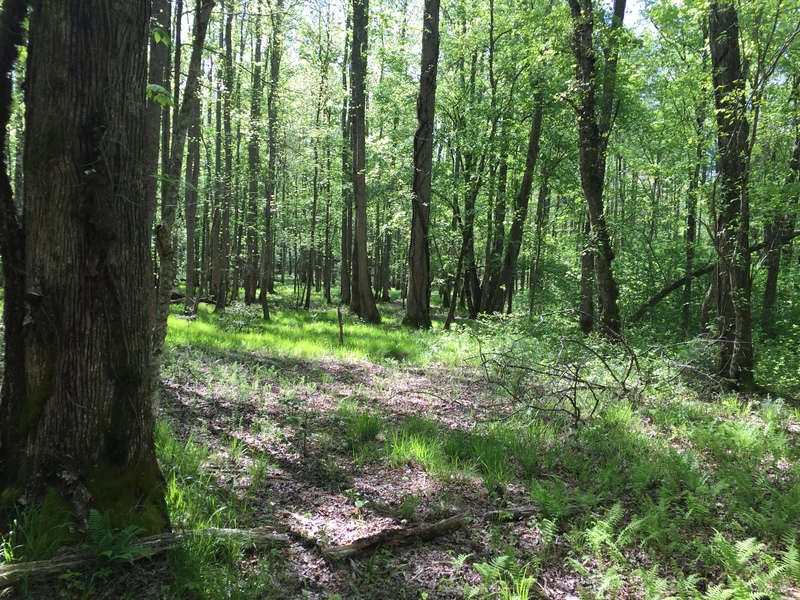 At about 300 yds, you will see a clearing on private property across the creek. At 0.2 miles the creek and the trail literally merge for 100 yards or so. 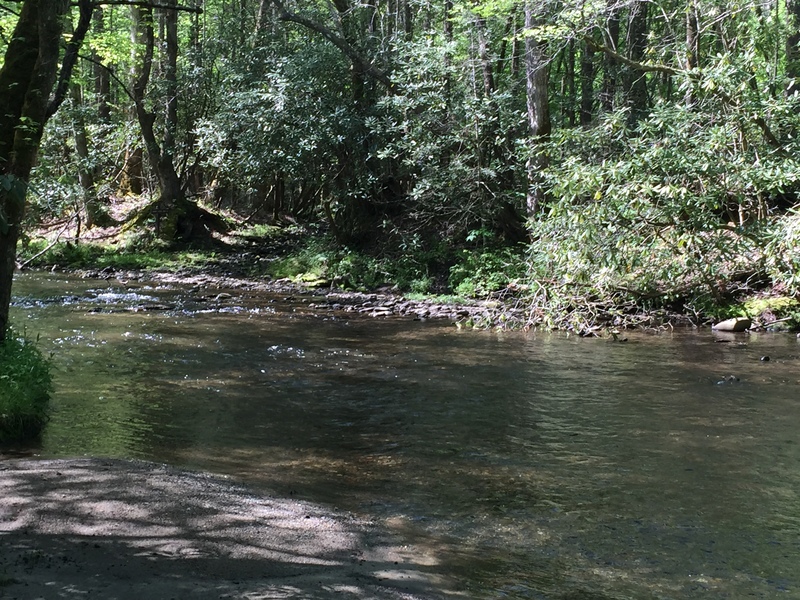 It is possible to bypass wet feet on the left bank but bear in mind, the creek is the park boundary so you are on private property at that point. 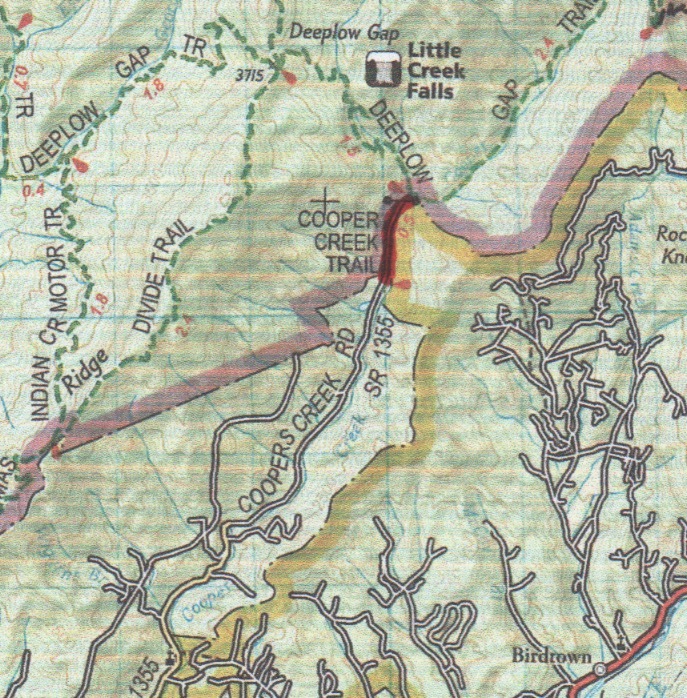 At 0.5 miles you cross the Cooper Creek on a footlog and the Deeplow Gap trail is just beyond. 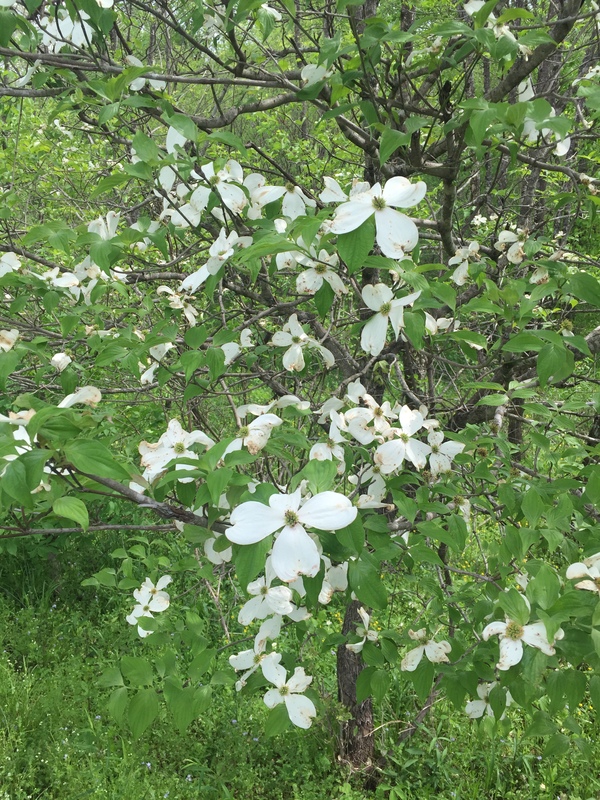 This entry was posted in Trail Log and tagged Cooper Creek Trail on May 26, 2016 by blogginggazelle. 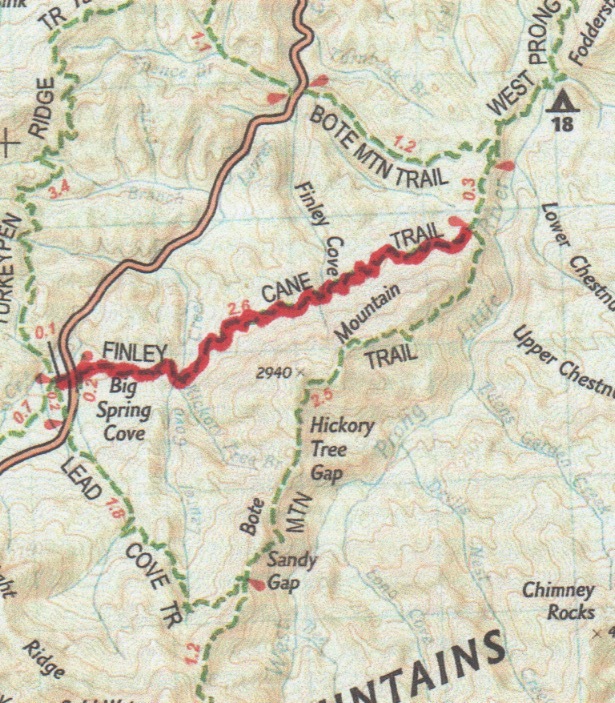 This hike begins and ends with the Mingus Creek Trail. 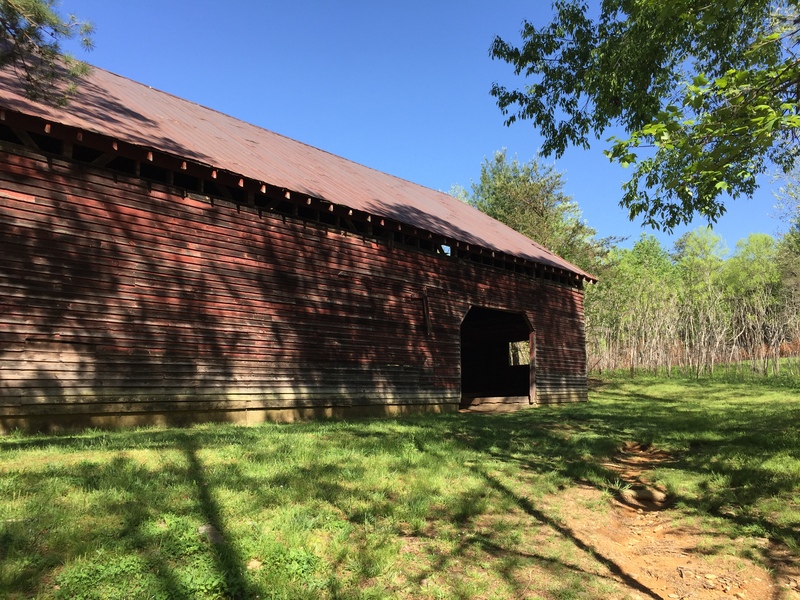 The trailhead is the parking area for Mingus Mill located on New Found Gap Road near the Oconaluftee Visitor Center on the Cherokee side of the Park. Mingus Mill is a highlight in itself boasting a turbine driven mill which was the high technology of the day. 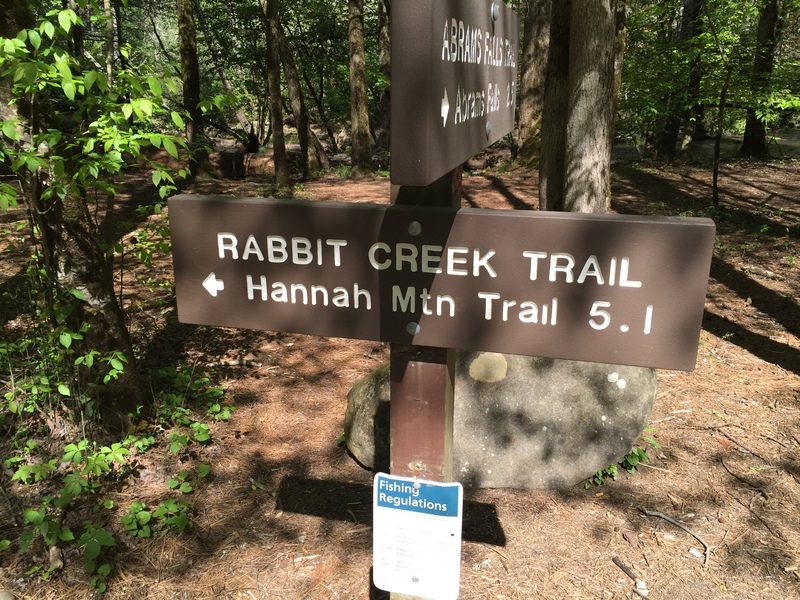 For the 900 Miler, this is but one of several loop possibilities in this section as there are several intersecting trails between here and the Deep Creek Section. 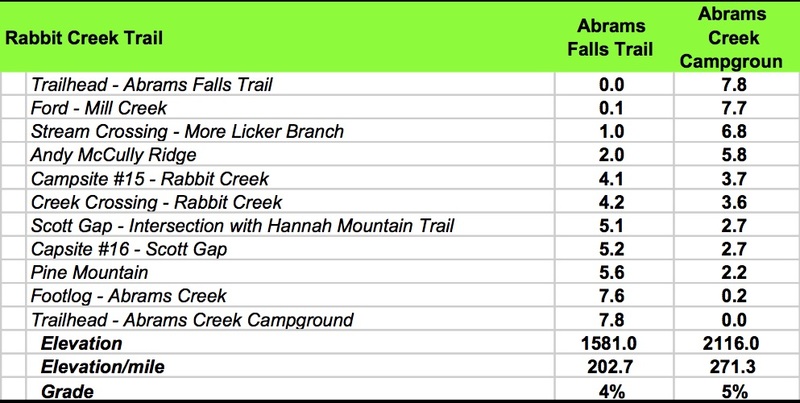 The other fine feature of this hike is Little Creek Falls on Deep Low Gap trail. 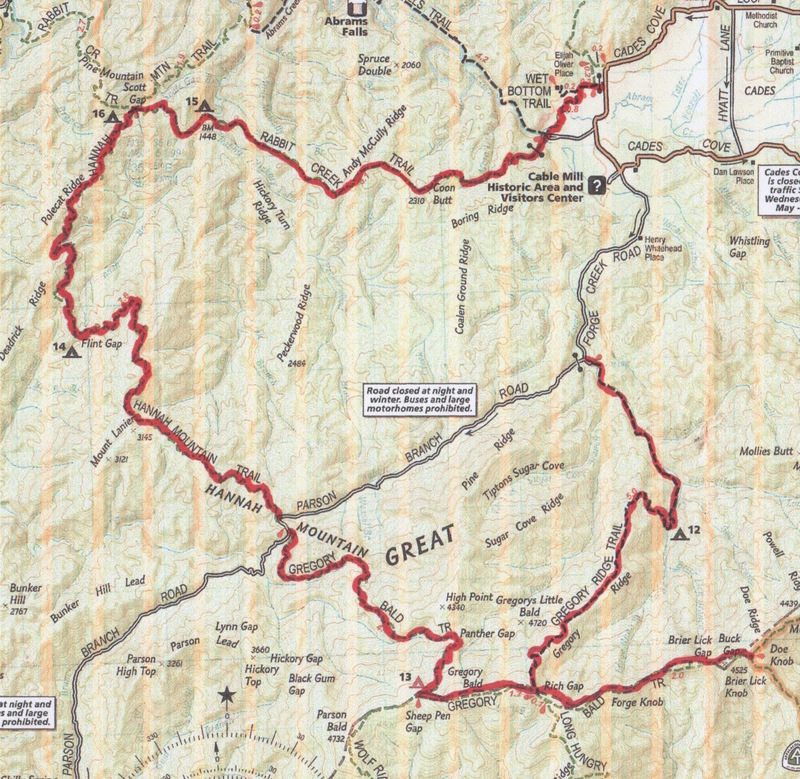 Although there is only a single 10% grade climb, it is over the length of the Mingus Creek Trail and the route overall climbs some 4,100 ft making this a fairly difficult section to hike. 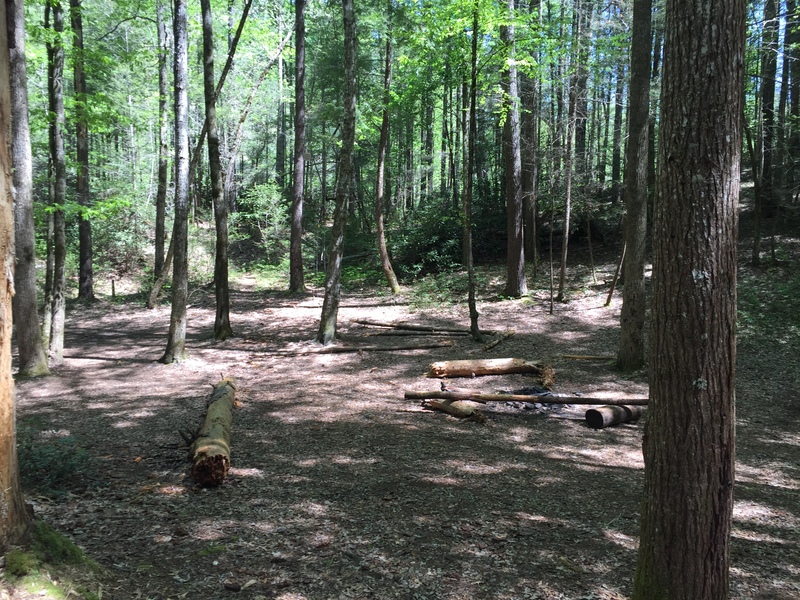 There is ample water and Campsite #52 is on the route located on the Newton Bald Trail. Of interesting note, this section of trail is used for the Mountains-to-Sea Trail as it enters the Park toward its terminus on Clingmans Dome. Leaving the Mingus Creek parking area the trail follows a jeep track for a few hundred feet passing a shooting range for Park Rangers on the right. The path follows Mingus Creek for a mile and a quarter and spits off to follow Madcap Branch. The fork to the right proceeds 0.8 miles to a cemetery. 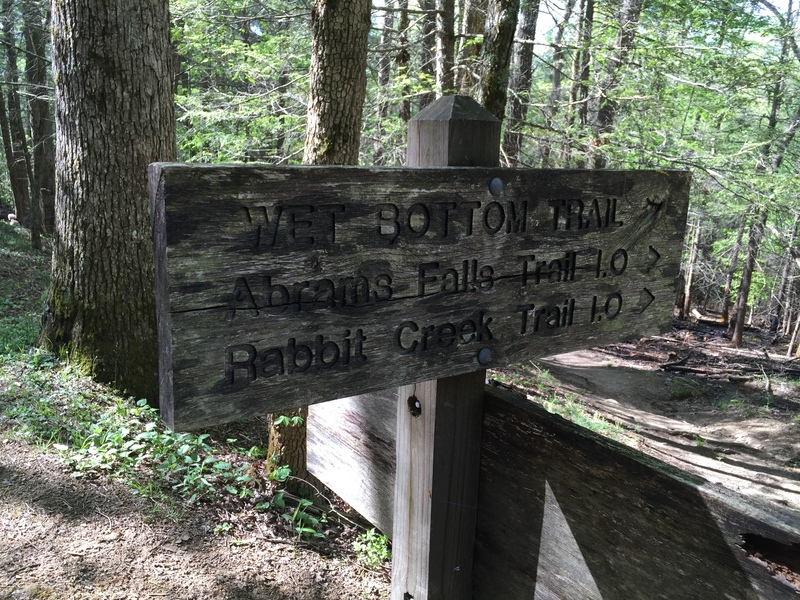 The trail crosses Mad Cap Branch several times until you reach the last one at 2.1 miles. The trail continues at a 10% grade over the next few miles utilizing several switch backs to facilitate the climbing. Deep Low Gap Trail intersects from the left at 2.9 miles, which will bring you back from the loop later in the day. 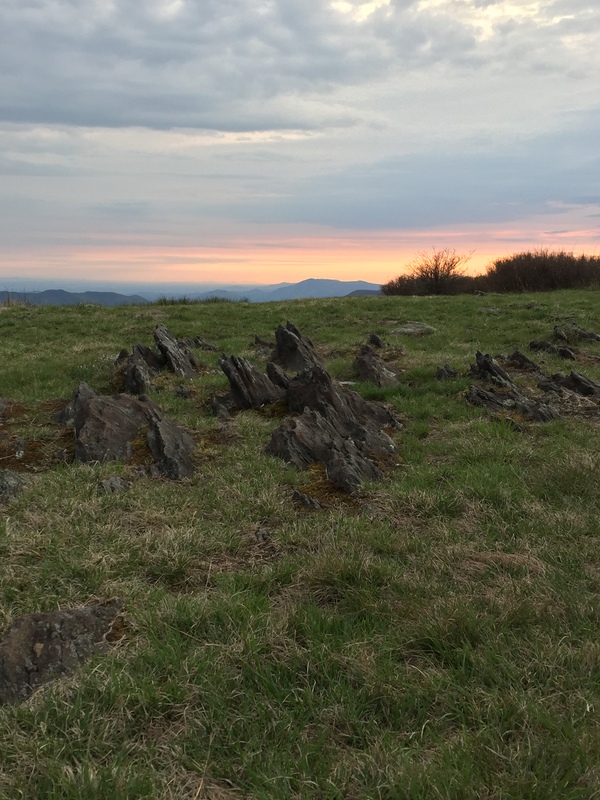 AT 5.7 miles, the climbing finally abates on Newton Bald at the intersection with Newton Bald Trail. 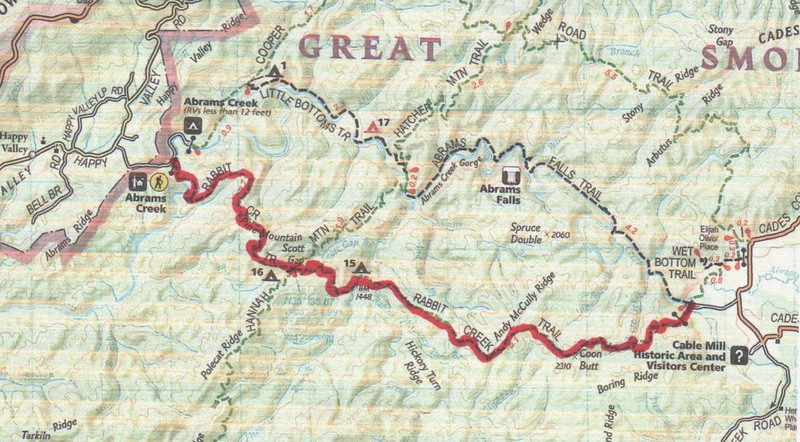 The route passes along the only level section of Newton Bald Trail briefly; passing Campsite #52 and then terminating at the Thomas Divide Trail. 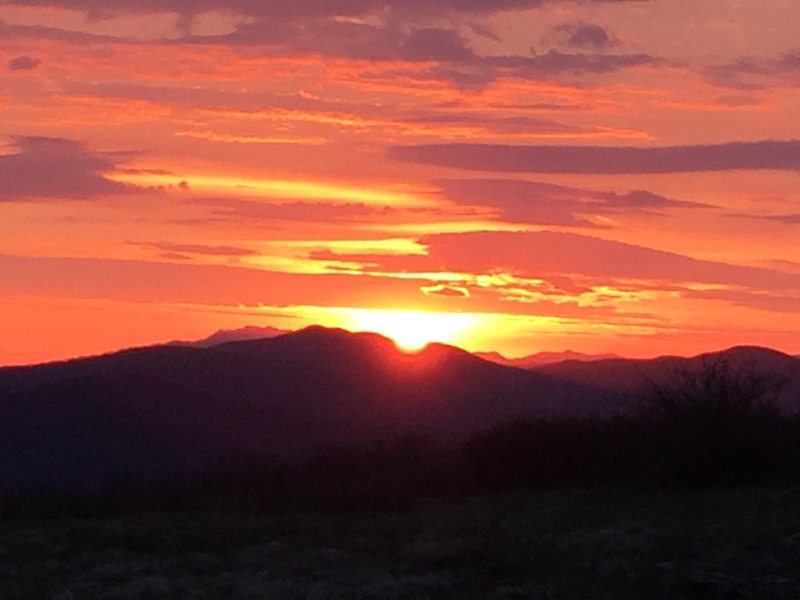 All your climbing effort is rewarded over the next three miles as the trail descends over 2,300 ft. into Deep Low Gap, where the route picks up the Deep Low Gap Trail headed toward the left. This section of trail encounters no creek crossings. 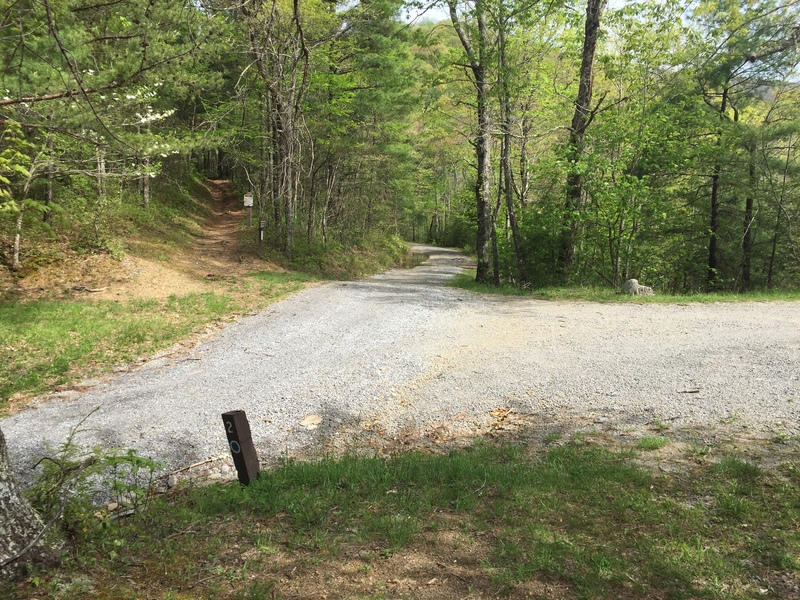 The intersection is at the highpoint of the Deep Low Gap Trail so you are treated to a continued descent. 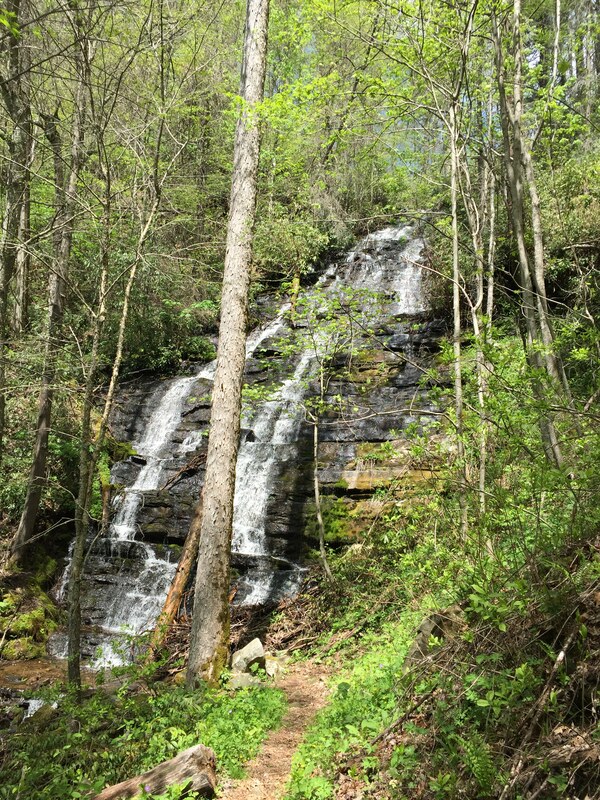 At about 0.8 miles down Deep Low Gap is the beautiful Little Creek Falls, which is a 95 ft. cascade over Thunderhead Sandstone. The trail crosses a footlog at the base of the falls and continues its 1,000 ft. descent to Deep Low Creek. 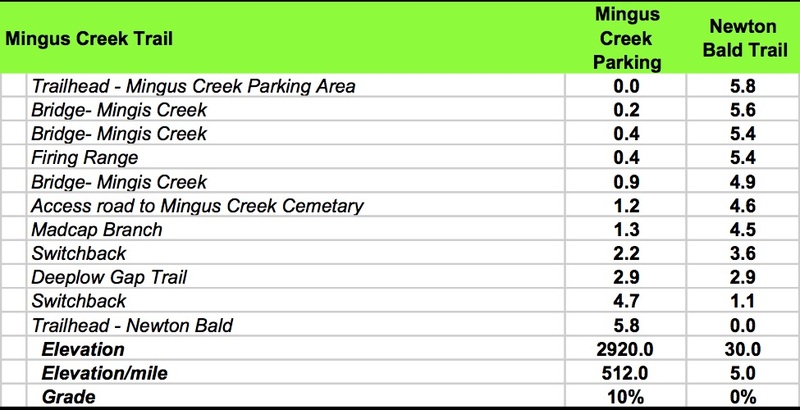 The Cooper Creek Trail intersects at 2.4 miles. Cooper Creek Trail is an access trail to the park boundary on Cooper Creek Road. It is highly advisable to grab this half mile path because it is a difficult orphan to come back later and complete. Copper Creek Trail follows it namesake to the trailhead, crossing the creek several times and at about 0.3 miles, the trail and the creek become one. 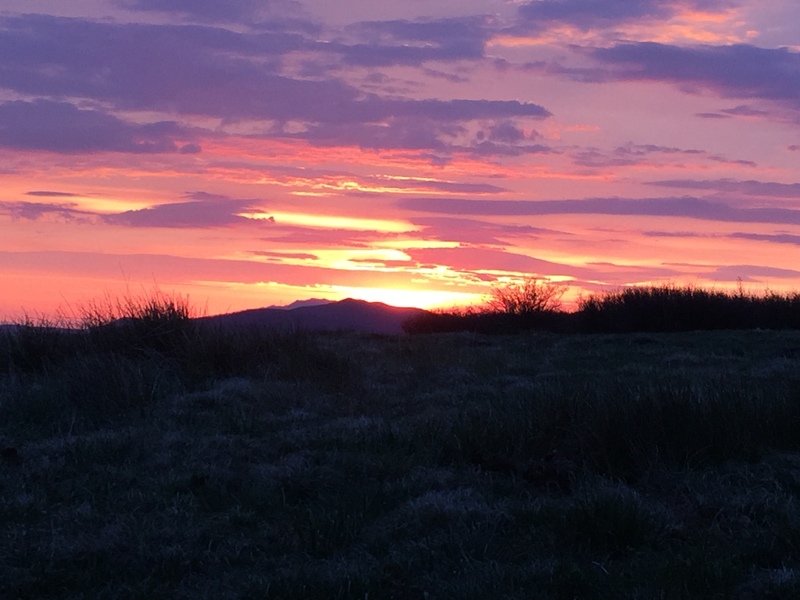 While there are numerous side trails attempting to avoid wet feet, it is probably just as well to enjoy a refreshing soak along the 50 yards or so where the trail and the creek are the same. 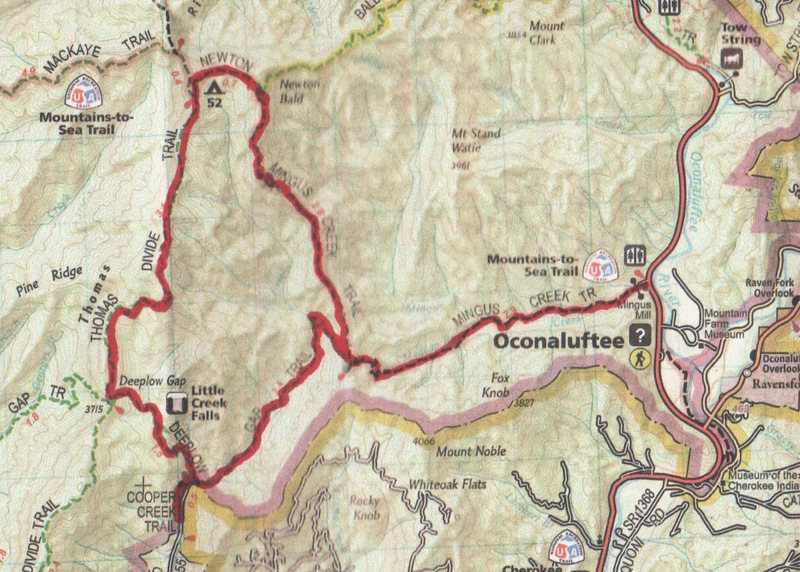 After the quick yo-yo hike to Cooper Creek Road, continue on Deep Low Gap Trail as it begins it’s climb back up to the Mingus Creek Trail. This climb is about 1,000 ft over nearly 2.5 miles but the 4% grade is deceptively hard after having hiked over 12 miles. The trail crosses Cooper Creek several times, at least once in a wet crossing, before the trail crosses one last time in a switchback and begins the final 0.7 mile ascent up to Mingus Creek Trail. The nice thing about joining Mingus Creek at this point is that it’s all downhill from here. The final 3 miles of the hike goes quickly in less than an hour as the motivation to end the long day overcomes the accumulated weariness. 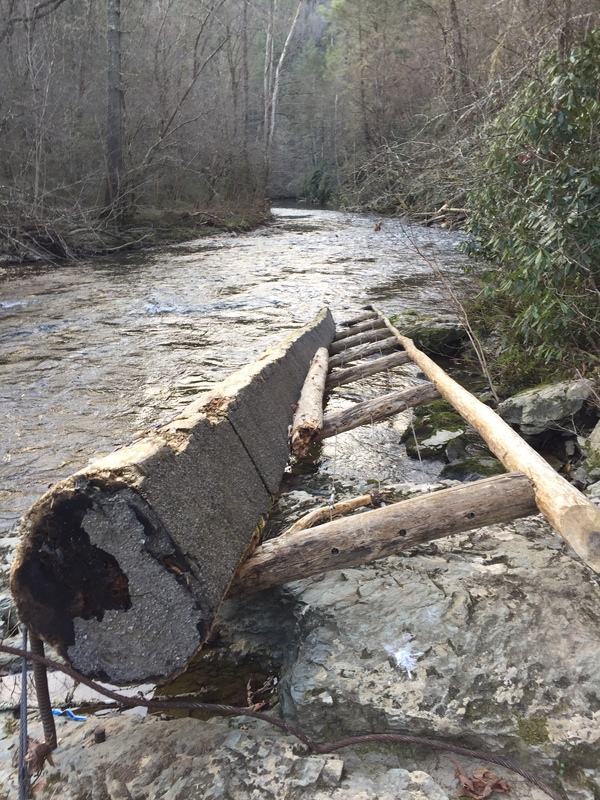 This entry was posted in Trail Log and tagged Campsite #52, Cooper Creek Trail, Deep Low Gap Trail, Little Creek Falls, Mingus Creek Trail, Mingus Creep Loop, Mountains to Sea Trail, Thomas Divide Trail on May 17, 2016 by blogginggazelle. ** This section was documented from Bote Mountain Trail, descending to the trailhead at Laurel Creek Road. From the trailhead up, the elevation gain is 459 ft., Elevation/mile is 176 at a 3% grade. The trailhead for Finley Cane Trail is on Laurel Creek Road, 5.5 miles from the Townsend “Y”. 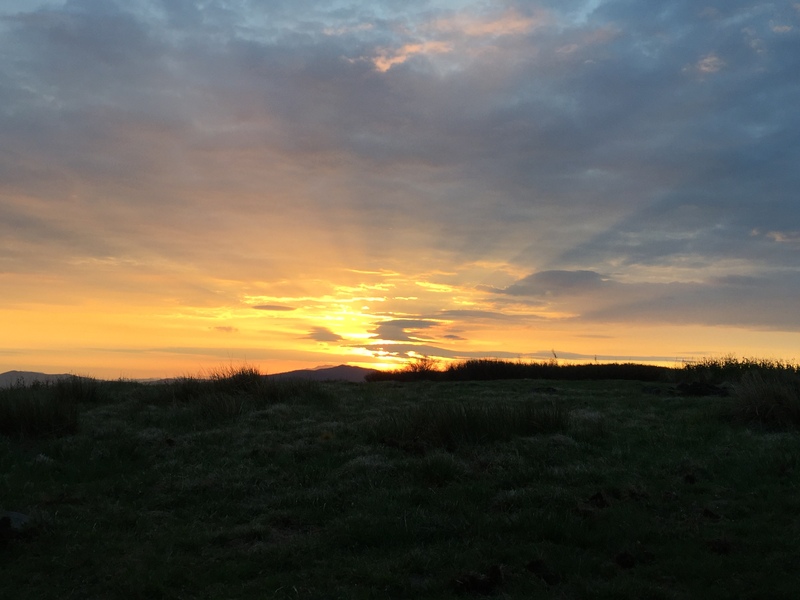 It is shared with Lead Cove and Turkey Pen Ridge Trails providing the 900 miler with several options for loop hikes. This section was hike a part of a loop with Lead Cove to Bote Mountain and is documented from Bote Mountain Trail. There is ample water along the path with several creek crossings. 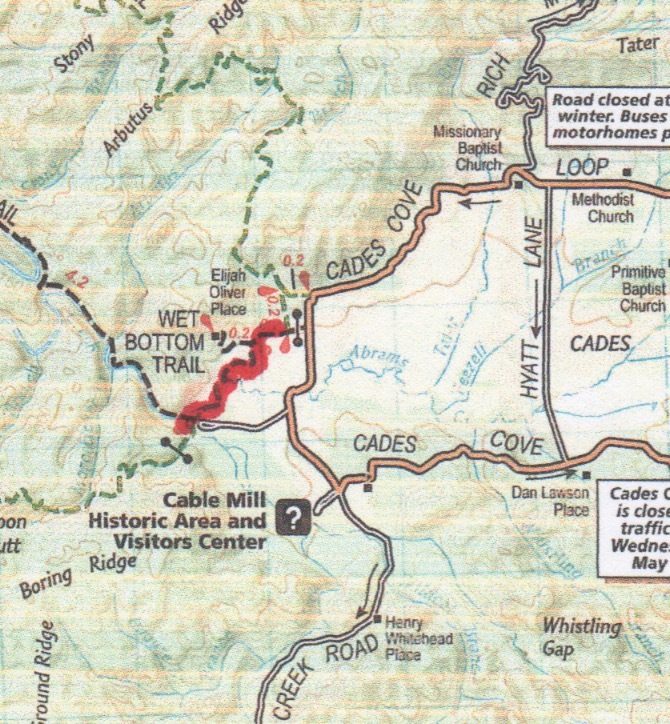 The closest campsite is about 0.9 miles from the Bote Mountain intersection down West Prong Trail to CS #18. From Bote Mountain Trail, the path is level to a slight incline for the first 0.4 miles, then descending to Finley Cove Creek at 1.0 miles. The creek is typically dry in the summer. Flowing Finley Cove Creek, there is a slight rise and then a pleasant descent to Hickory Tree Branch and Laurel Cove Creek, two crossing that occur at 2.0 miles. 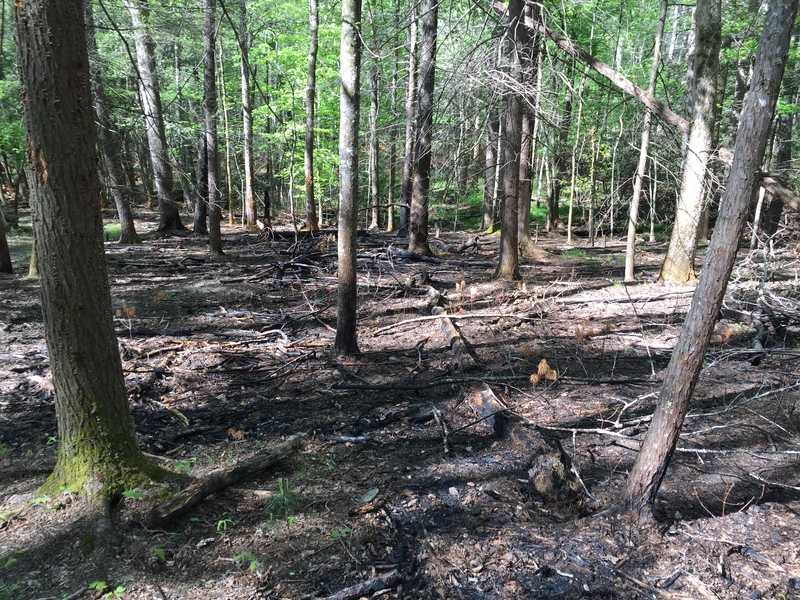 This section passes through mixed hardwoods, some of which are remnants of virgin timber forests. The gentle descent continues on the the trail head at 2.6 miles at Laurel Creek Road. 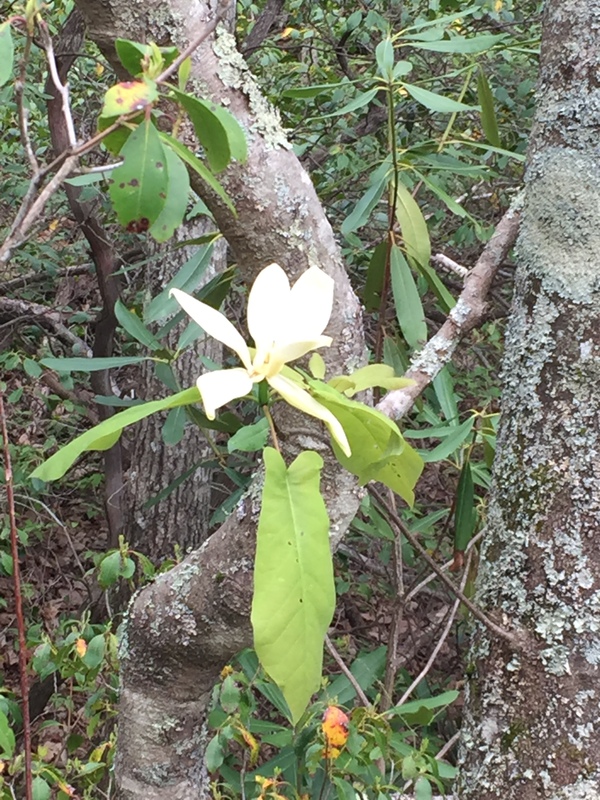 This entry was posted in Trail Log and tagged Both Mountain Trail, Finley Cane Trail on May 12, 2016 by blogginggazelle.